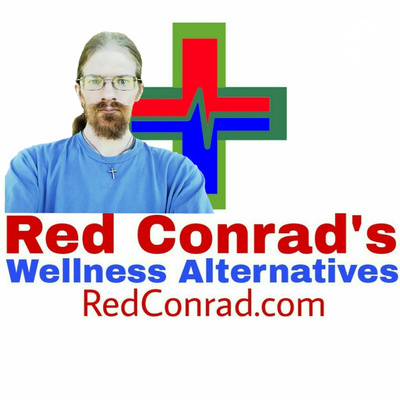 Welcome to the Red Conrad's Wellness Podcast, where you'll learn how to go beyond health. Topics include: Spiritual, Physical, Mental, Occupational, & Financial Health. 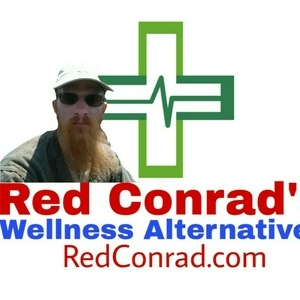 This podcast is an extension of the Red Conrad's Wellness Blog. Segment 1: Update and explanation for the long silence. Segment 2: Message for Network Marketers and those interested in the profession. Wishing you a Happy New Year and offering support with your resolution(s). About me and why I do what I do. The unknown cause of alcoholism. First Segment: Stress information. Related information at the RedConrad.com blog titled "Kill Stress Before It Kills You" Segment 2: Depression & Anxiety info, a little of my story (more in the blog post "I Am That I Am: The Outcast"), and how to relieve stress, depression, and anxiety. Learn how to use your bodies natural abilities to heal yourself of just about anything. Where has the podcast been? That is explained. And I cover a new USDA proposed food label rule everyone needs to be aware of. Why dieting is dangerous and how to get results you seek the safe and healthy way. How to find natural relief of Diabetes and Arthritis. This episode goes into vaccinations, antibiotics, the dangers of using them, and what to do instead of vaccines and antibiotics. A disorganized mess of a launch introducing the Red Conrad's Wellness podcast.